Manchu Manoj started a foundation called Manoj Kumar’s Unity. The purpose of this initiative is to collect funds for the development of farmers in India. After Storm Hudhud, that destroyed several parts of Eastern India, Manchu started Manoj Kumar’s Unity, to help the people of Vizag and subsequently support people who suffered in the Chennai floods. 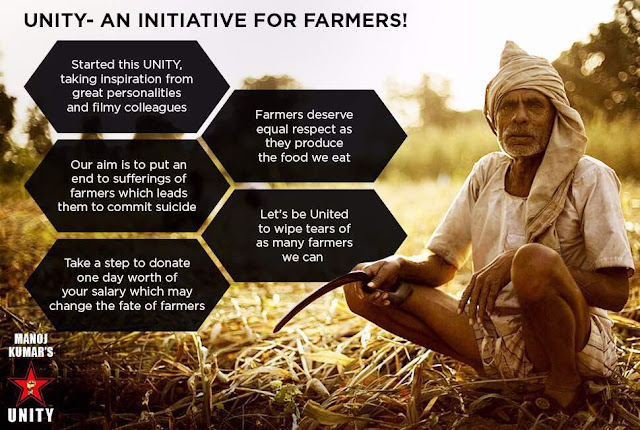 Now comes the “Save the Farmers” initiative, encouraging people to donate a day of their annual salary to farmers who provide us with the food we eat several times a day, so that we can fill their stomach too! Saving farmers and bringing back a smile to their faces is what Manoj Kumar’s Unity is all about. Manoj nominated five people who are close to his heart, so that they participate and contribute to this great cause. 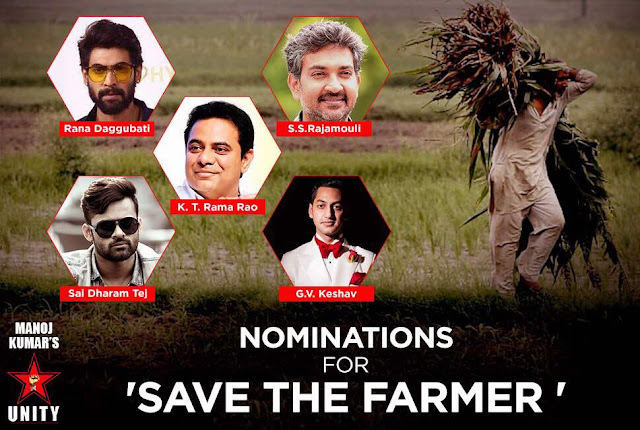 The five people are Mr. K.T.R, RajaMouli, Rana Daggubati, Sai Dharam Tej and G.V. Keshav. “Hereafter, no plough should silently lay somewhere, no hard work of a single soil man should go in vain and no farmer should lose hope on his life,” Manchu concluded.